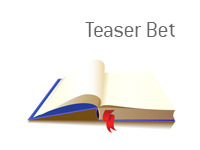 Teaser Bet Definition - What Does Teaser Bet Mean? What is a 'Teaser Bet'? Teaser bets are modified parlay bets. With a conventional parlay, the house determines the specifics naturally by combining the individual wagers. With a “teased” parlay, the book teases the bet by adjusting point spread, over-under totals and so forth. For the house, the benefit of a teaser bet is that it makes the parlays much more appealing to a wider audience. For the gambler, the benefit of a teaser bet is that the chances of winning are much higher than a conventional parlay with the same wager configuration. Of course, this comes at a cost: the odds, or payout, are much lower. 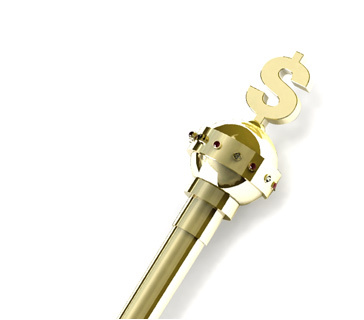 A parlay bet is an opportunity for a gambler to convert their confidence into winnings. A teaser bet provides a middle ground between no confidence and great confidence. Teasers also serve to make popular parlays much more practical bets. A common example of teaser usage is NFL betting. These bets typically combine the spread and the over-under, which are the two most popular NFL wagers. Consider a situation: The Eagles are +2.5 at the Giants with an over-under of 54. With a 4-point teaser, the Eagles would be +6.5, and the under would be 58, or the over would be 50, which is much more favorable to the bettor.